Based in London, Trevor Jackson founded the label Output Recordings in 1996, which introduced the world to such genre defying and inventive bands and acts as LCD Soundsystem, the Rapture, Four Tet and his own project Playgroup which helped create the blueprint for present day electro. Over the ten years that Output was in existence, Trevor helped put out no less than 100 records and the label is considered to be one of the biggest influences and driving forces behind the sound of the modern dancefloor. His DJ mix for the series DJ Kicks, is much like his own approach to making music and remixing: an eclectic mash of sounds that traverse the sonic spectrum. He is also a prolific remixer having started reworking tracks as early as 1991 for the likes of Massive Attack and U2 under the name Underdog. 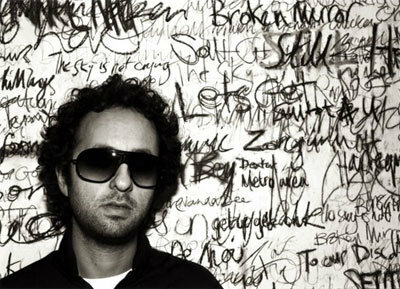 Other than having such a profound influence on present day dance music with his labels output (excuse the pun), his own productions, remixes and DJ sets, Trevor is also an amazing designer, having designed and created the artwork for many of the artists released through Output. His visual art career dates back to the early 90′s with his company, Bite It!, designing record covers for acts such as the Stereo MC’s, the Jungle Brothers and Todd Terry. Read all about the South African shows after the jump! The event in Cape Town will celebrate the talents of Trevor Jackson through the best way possible, a straight up 2 hour DJ set of his best! Flanked by some of SA’s top electronic music talent over 2 floors, spanning Electro, House, Indie Remix, Minimal, Beats, Funk & Soul..and a whole lot in between, the evening promises to deliver nothing but the best upfront dance music! Spam is in the eye of the beholder. Btw, five years back I didn’t figure becoming a supercelebrity was going to take this long. This is painstaking stuff.